A national library is a library created by a government for the purpose of preserving and protecting the nation’s cultural and historical heritage. 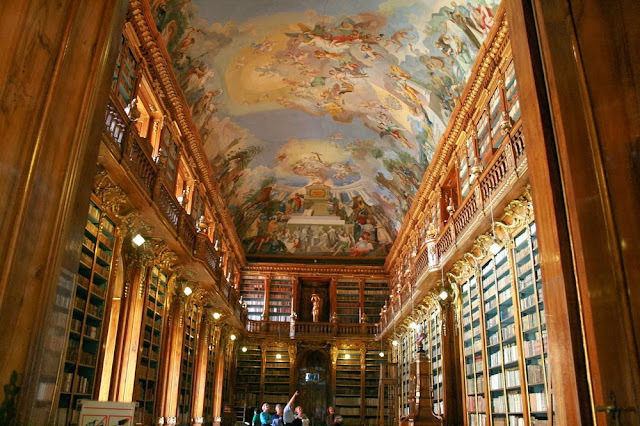 They are typically found to be the largest most ornate and impressive examples of libraries within a country. Some of the most beautiful and historic libraries in the world are national. 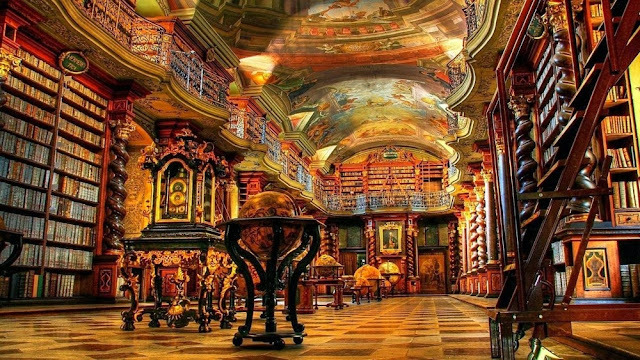 It could be argued that one of the oldest known libraries in the world the Library at Alexandria, was the national library of Egypt upon its conception. 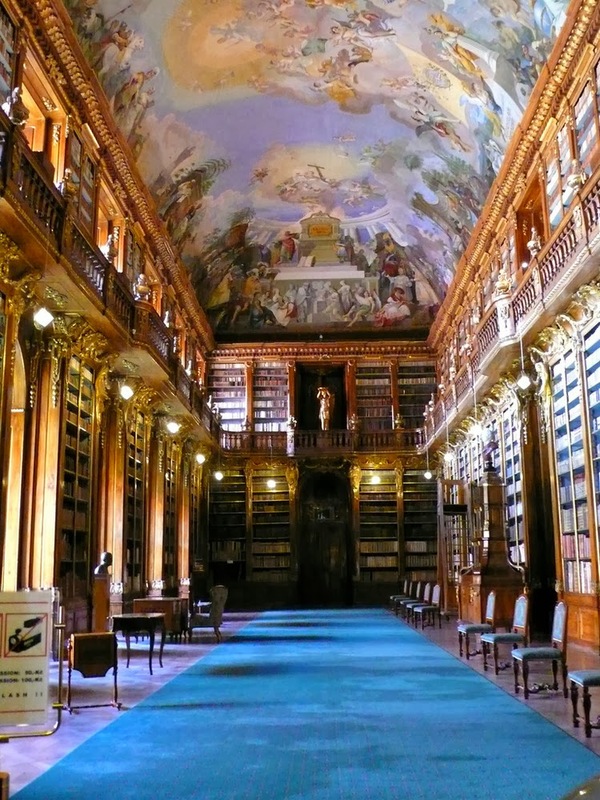 The Czech Republic has a national library, centrally located in downtown Prague. 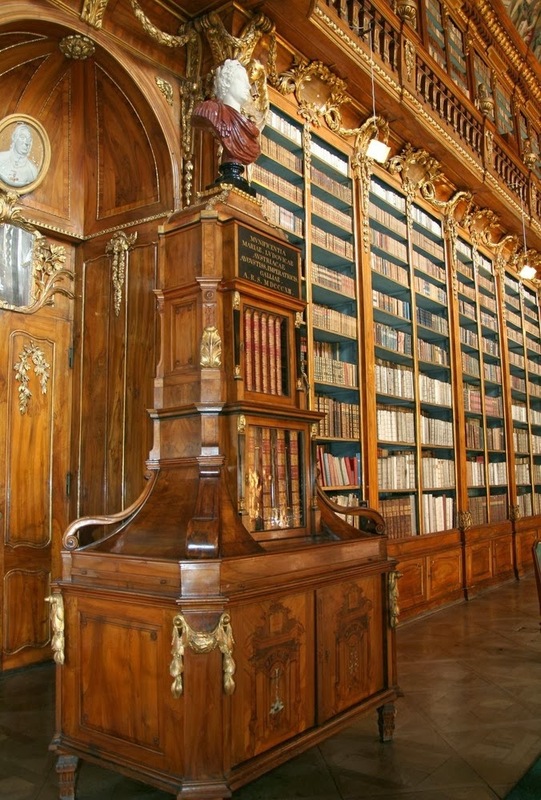 The library is commonly referred to as the Klementinum. 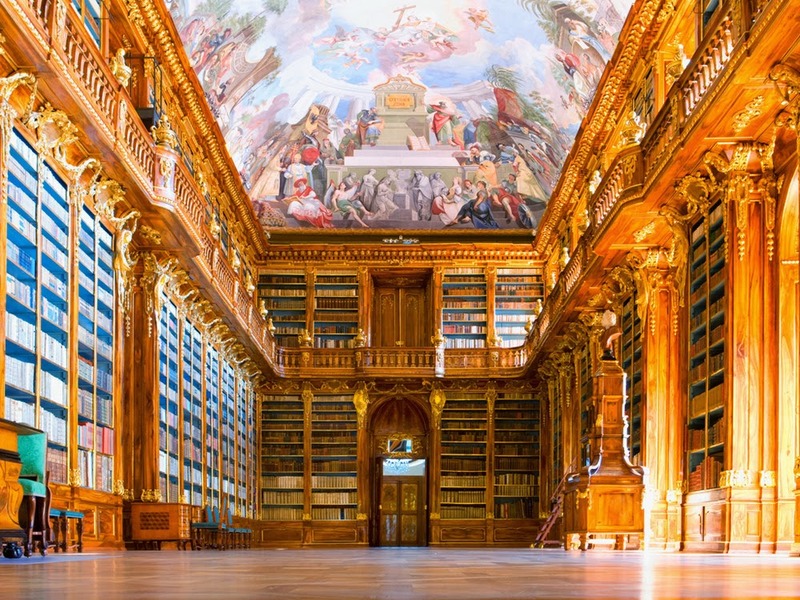 The web site devoted to the library gives a detailed breakdown of its rich history. Historical documents show that in the 11th century there existed a chapel, St. Clements, on the site where the library stands today. 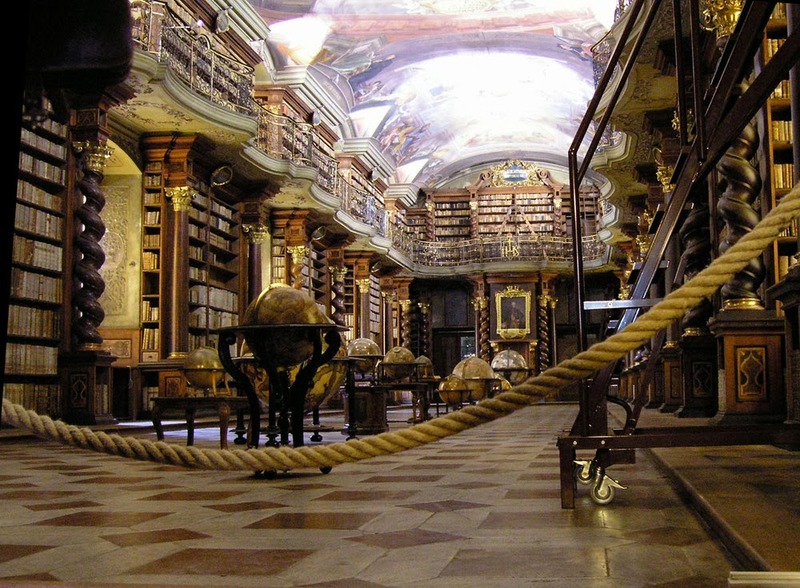 In 1556, the Jesuits built a university on the ruins of the chapel and named it Klementinum. 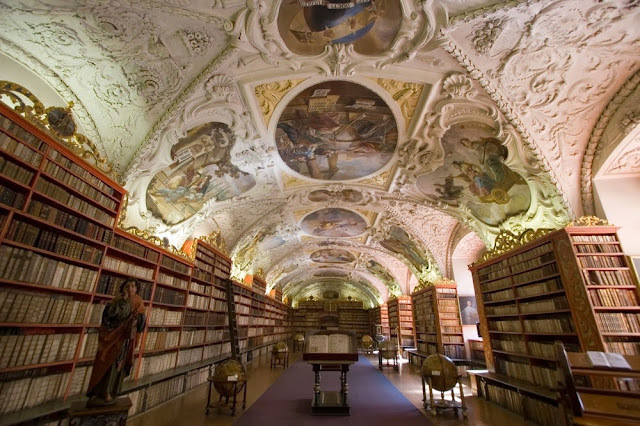 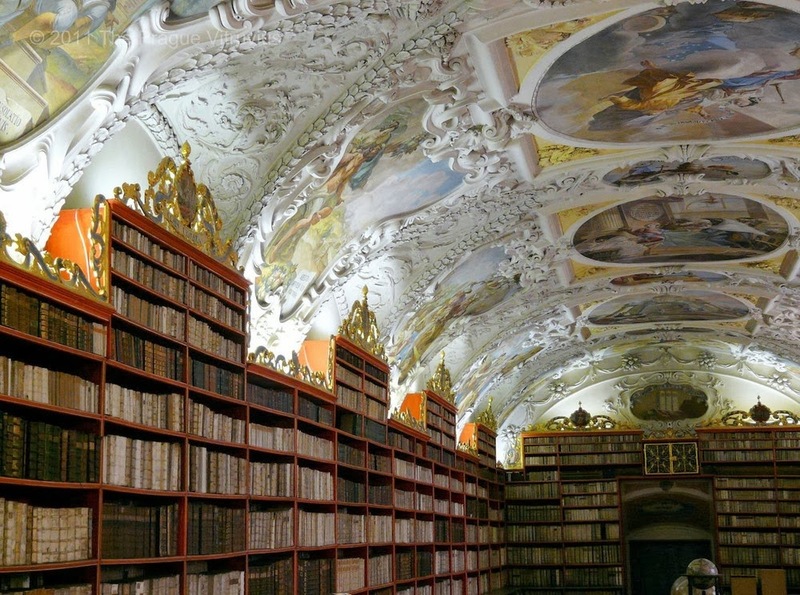 From that time until 1777 the existing Charles University of Prague transferred its libraries unto the Klementinum, a practice that still exists today. 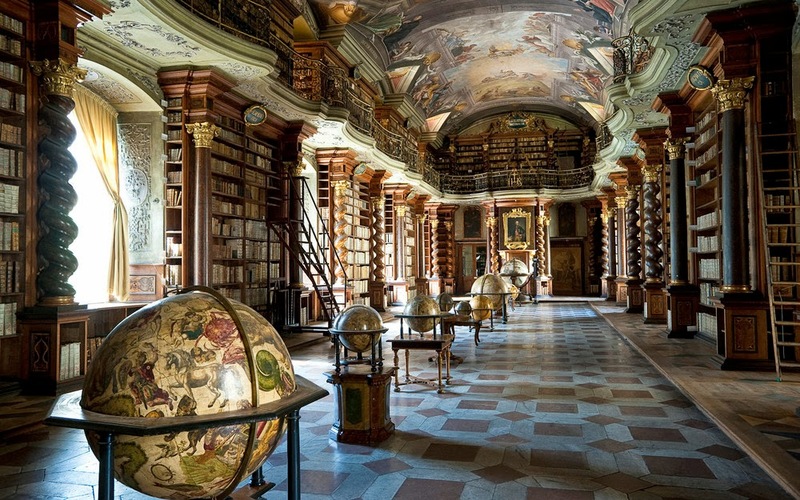 From 1773 to 1777 the Jesuits steadily abandoned the university and library, though both stayed open due to private patronage. 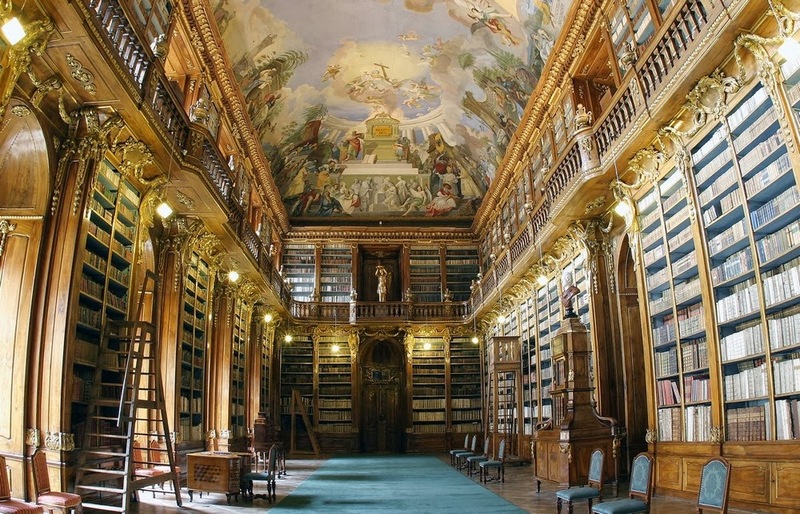 It is not until 1990 that the library is given its current name, the National Library of the Czech Republic to honor its rich tradition and pay homage to its objectives. The building itself sits on nearly five acres of land in the center of Prague. 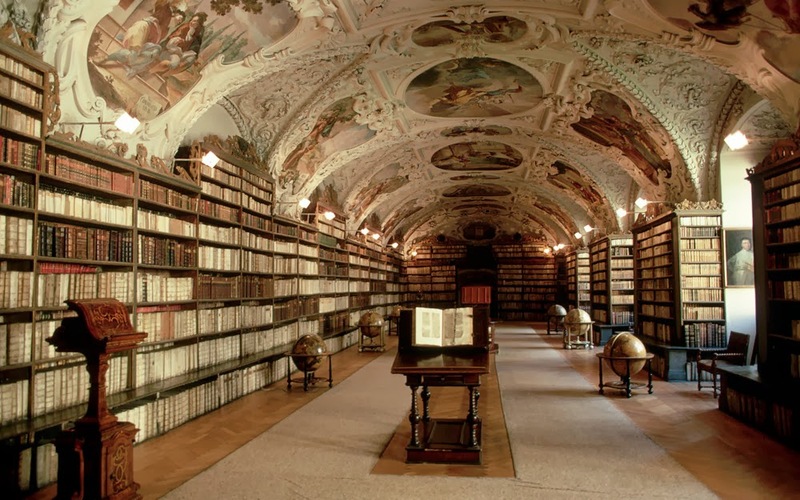 According to Dr. Stanley Kalkas of Charles University, it is the largest existing structure in all of Prague, excepting the Prague Castle complex. The current building was originally built upon the arrival of the Jesuits in 1556. 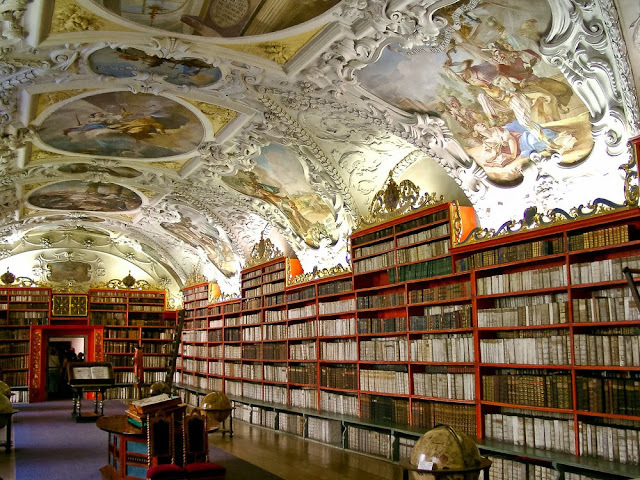 They created a complex for the pursuit of religious and university studies. 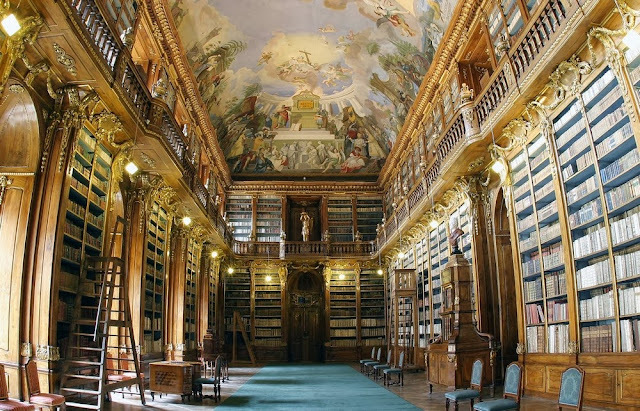 The building that exists today is an amalgamation of that original complex, complete with the original Baroque wing, and was built over a long period from 1578 to 1726. It is this Baroque wing that garnered the attention of famed architectural photographer, Guillaume de Laubier, in his work on the world’s most beautiful libraries.